Mossy Creek Flea market. 205 S. main Street. Route 42. Indoor market with approx 20 dealers. c/p Bruce Knicely, (703) 828-3942. South Boston Mega Flea Market. Halifax Road, Route 501. Hours Friday 12pm-7pm, Saturday 8am-5pm and Sunday 9am-5pm. Approximately 100 dealers. Good variety of new merchandise, used items, many collector booths, art, crafts, books, antiques & furniture. Food available, restrooms. Indoor/outdoor market. Snack bar, restrooms, h/a. Space from $5. per day outside. c/p John Carter, 707 Corn Tassel Trail. Martinsville, VA 24112. (703) 638-7514. 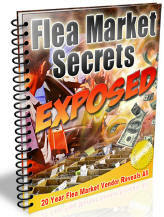 The Flea Market. Old Valley Pike, Route 11 to Landfill Road. Hours: 9am to 5pm. Indoor/outdoor market with some covered spaces. Approx 50 dealers. (540) 984-8771. Stagecoach Markets Antique Market. Route 17 at Route 1420. 45 antique shops and large country outdoor flea and farmers market. 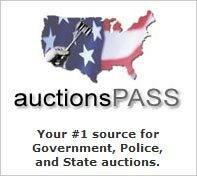 This is a great source market lots of treasures at great prices. Food available, restrooms. (804) 693-3951. Flea Market. Colonial Corner Shopping Center, exit from I-295. Antiques, collectibles, clothing, furniture, jewelry, flower arrangements. The Virginia Bazaar Flea Market. I-95 at Exit 110, Ladysmith. Virginia's biggest & best indoor/outdoor market. Situated on 100 acres, 67,000 sq ft building, heated and air conditioned. 324 indoor spaces (most with electricity), 222 outdoor spaces (some with electricity). Food court, restrooms, h/a, ample parking. Space rate varies. Free parking and admission, special events throughout the year. Market features antiques, crafts, collectibles, a farmers market and general line of flea market merchandise. Hours 9-5 every Sat & Sunday, year round. Flea Market of Norfolk. 3416 N. Military Highway. Hours 7am until dark. Ample parking. Indoor/outdoor market with approximately 150 dealers. Collectibles, crafts, new and used merchandise. Space from $10. per table per day. One of the largest indoor markets in the area. Restrooms, snack bar. h/a. c/p Robert Ingram, 3416 N. Military Hwy, 23518. (804) 857-7824 or 855-3331. Fax: (757) 853-8393. Airline Flea Fair. 3535 Airline Boulevard. I-264, Greenwood West exit. Ample parking. Indoor market with approximately 300 dealers. Antiques, collectibles, lots of memorabilia and country primitives. Crafts, art, new and used merchandise, home furnishings and furniture. Some real interesting booths to poke through at this market. Snack bars, restrooms, h/a. Space from $5. per day on Thursday c/p Philip Knight, 3535 Airline Blvd, 23701. (757) 488-3695. Happy's Flea Market. 5411 Williamson Road. Route 11. Ample parking. Indoor/outdoor market with approximately 7-800 dealers. This is a wide open market with a wide range of merchandise from quality antiques to junk to new imports. Restaurant, snack bars, restrooms, h/a. Space from $9. c/p Manager, 5411 Williamson Rd. 24012. (703) 563-4473. Lee Hi Drive In Flea Market. 1700 Apperson Drive. Admission charge. Ample parking. Approximately 50 dealers. Collectibles, new and used merchandise, lots of garage sale items, housewares, clothing. Crafts, produce. Food available, restrooms, h/a. Space from $3. c/p Ralph Hoskins, (703) 389-5556. The Peddlers Market. Civic Center. Admission charge. Ample parking. Average daily attendance 5,000. Approximately 200 dealers. Good market with lots of folk art, crafts, antiques, collectibles and reproductions. Snack bar, restrooms, h/a. Space from $60. c/p Peddlers Market, Box 1590. Dublin, VA 24084. (703) 674-1349. Verona Flea Market. Highway 11. Ample parking. Approximately 150 dealers. Great selection of new merchandise, used merchandise, garage sale items, farm items and supplies, antiques, good collector booths, crafts, produce. Snack bar, restrooms, h/a. (703) 886-9640. Tazwell Flea Market. Highway 19 & Route 460. Old Drive In. Ample parking. Average attendance of 3-4,000. Approximately 300 dealers. This is a large classic southern market with wide range of booths from professional high quality to the garage sale variety. Always a lot of treasures and great deals at this market. Food available, restrooms, h/a and lots of walking. Space from $2. c/p James Hughes, Box 864, 24651. (703) 988-5804. Overnight camping available. Shore Flea Market. Route 13. 1/2 mile South of Tyson Foods. Large outdoor market. Open seasonally April-November. This writer does not visit towns that begin with the word Temperance. c/p William Miles, (757) 824-3300 or 824-5020. Outdoor Flea Market. Easter Auction Grounds. Ample parking. New and used merchandise, garage sale items, antiques, furniture, collectibles, crafts, produce. Food available, restrooms, h/a. (703) 582-5755. Verona Antique Market. Route 11, at the firehouse. Indoor market with approx 20 dealers. (540) 248-3532. Rockys Antique Mall. I-81 & Exit 60. Ample parking. Average daily attendance 1,000 with an average of 150 dealers. General line of antiques, furniture and collector items. Indoor mall with 40,000 square feet. Air conditioned, food, clean restrooms, h/a. Camping available. Outside booths $5 daily. (703) 234-8676. Shen Valley Flea Market. Route 522. Ample parking. Approximately 200 dealers. This is a great summer market with lots of antiques, collector booths, new and used merchandise, farm items and supplies, jewelry, clothing, housewares. Outdoor market. Food available, restrooms, h/a. Camping available on premises. Market open March-December. (703) 869-7858 or 635-7023. Shen Valley Flea Market. Route 522 South. Hours: 7am until dark. Free adm and ample free parking. Outdoor market with approx 250 dealers. Snackbar, restrooms, h/a, camping avail. (540) 869-7858 or 635-7023.